At Hammerkop Migration Camp we believe in responsible tourism. We constantly aim to generate greater economic benefits for the local people and enhance the well-being of the surrounding Masai communities. A percentage of revenues collected on bed night rates, is paid directly to members of the Masai community and local schools. In addition, most of our staff belong to the local Masai communities. Hammerkop Migration Camp is committed to minimize impact on the fragile environment with use of the latest green technologies. Solar powered lamps ls provide power at night, throughout the camp. Our camp’s guests also supports the local community, by donating educational material like books, pencils and equipment to the local primary schools. This initiative sure leaves a priceless impact in the lives of our local children and families. The Hammerkop Migration Camp Scholarship Project aims to ensure that Maasai children get an education that will empower them to shape their future through sponsoring their secondary education. 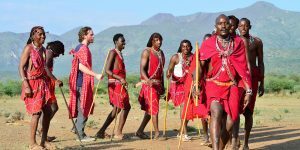 We aim at providing more enjoyable experiences for tourists through more meaningful connections with local people, and a greater understanding of local cultural, social and environmental issues by encouraging our guests to visit the traditional Masai villages and local schools. A majority of the Masai still practice their traditional way of life and live as pastoralists with cattle at the center of their culture and social life. They are very proud to welcome guests and tell about their everyday life in the bush. 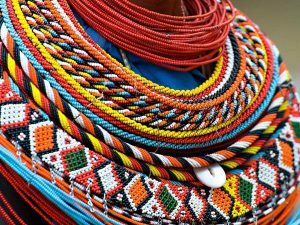 In addition, a Masai village visit gives guests an opportunity to learn about beaded ornaments that represent Masai cultural values and traditions. The practice is done specifically by women, and its is considered their duty to learn bead-work. These products are for both men and women, and they are used in cultural practices such as weddings and generally in community events. We have started a tree planting project to help increase social awareness towards a deeper commitment to environmental protection through planting new trees and also taking care of the existing ones.